The start of a new year brings so many mixed emotions for many people. For me, 2015 was a big success. You can read about that here but essentially, I smashed the goals that I’d set myself for the year for my blog. However in my personal life, amongst other things, I’d also managed to sever ties with toxic friendships, know my own mind and be able to speak it, stop spending too frivolously and save money. It was around November time that I started to think about what I wanted to achieve and I realised that at this point in my life, exactly as everything is now, I’m happy with who and what is in my life. However there was one thing that seemed to stick out for me which is a bit of a reoccurring theme, and that’s that I didn’t have a work life balance. Achieving that is my main goal for 2016. There are so many opportunities available to me and lots of different options that are open and while thats ultimately a positive thing, its also quite daunting as I’m not entirely sure on which road to take. I haven’t always had the time or the right mindset to sit down and really think about what I want and sometimes when you’re so busy, its easy to become blindsided or to think you want to go down one path when what you really want is somewhere over there. This year is going to be a journey of discovery for me, a quest to find true happiness. I’m really content and happy in my life at the moment but I want to improve that by gaining a real work/life balance and I want to open more doors in my life that I enjoy doing and will add even more happiness to my life. I’m surrounded by great people, pretty financially stable and I know what I want out of many aspects of my life but when you start blogging as a hobby and then it turns into a source of income, the lines between work and home life become blurred and its easy to feel as though you’re working 24 hours a day with very little sleep. With that in mind, I have decided to take a break for a couple of weeks to give myself a chance to refresh my mind, come up with new, creative ideas and to ultimately decide how I want to get my work life balance back. I think its going to be really refreshing and a massive change for me as in the 5 and a half years that I’ve been blogging, I’ve never taken a single day off. Sure there’s been days where I haven’t posted but I’ve never not been on Twitter, Instagram, Facebook or any of the other social media that I use. I’ve never not been taking photos or coming up with blog post ideas or trying out a new product just for the love of it. I’ve taken my laptop away with me on countless holidays and trips that in the future, I’d like to be reserved purely for me time and a chance to fully relax. In a world where social media has taken over from real life communication, being able to take a break and be present in the moment is fundamental. 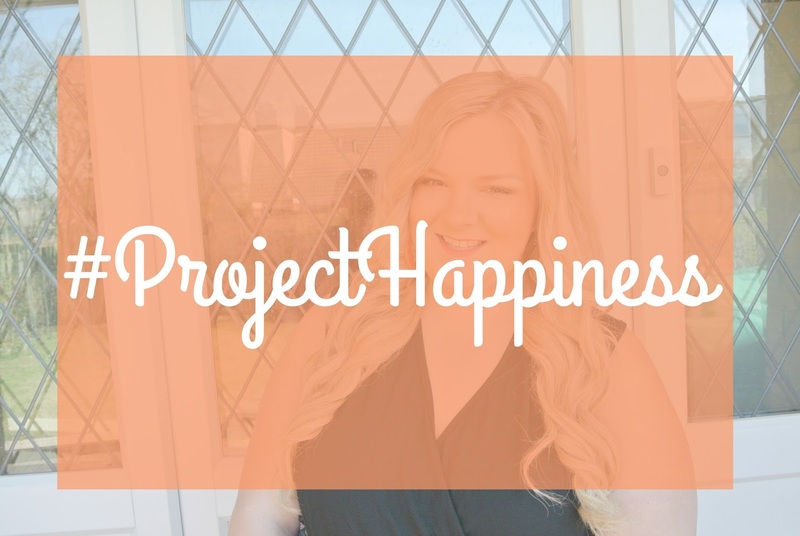 That brings me to #ProjectHappiness which is something that I am working on this year and I wanted to share with you all. Essentially its a way for me to try new things, enjoy myself and do more things in 2016 that make me happy than ever before. I hope you’ll be able to follow my journey on social media and on my blog as I’d love to share my experiences with you. You might have noticed that I’ve started posting inspirational quotes that I believe in on my social media to encourage me and spur me on, using the hashtag #ProjectHappiness. I do hope that they inspire you all too as I’m a big believer that we don’t know how long we’re going to be on this earth for but we might as well seek happiness and live our days to the fullest while we’re here. I’m literally heading off to the airport as I write and schedule this post and I couldn’t be more excited. Happy New Year everyone, find happiness in every day and I’ll see you all on here in a couple of weeks time. I think getting a great work/life balance can be essential to happiness. I have found out I am happier when I post 3/4 times a week and not everyday. Take a break, think about what you want in life and from your blog and come back refreshed. I've been enjoying reading your inspirational posts and hope you reach all your goals for 2016! It's always a good idea to take a total break occasionally. I find I spend so much time on SM or doing my blog that I feel I'm missing out on a lot in life. Enjoy your holiday and the relaxation. Social media and blog will be waiting for you so make the most of the relaxation. Cute photo 🙂 BLOG M&MFASHIONBITES : http://mmfashionbites.blogspot.gr/Maria V.
I know what you mean about never taking a day off. This year I'm trying to have a few posts scheduled way in advance so that I can go on holiday and not worry about the blog being quiet. Well done on smashing your goals for 2015. Have a lovely time off.